It's all you really need in a vest -- dual quilted shoulders, two front flap/snap cargo pockets, exposed shell loops, and hand warmer pockets. The lined game bag zips open across the top for easy unloading and cleaning. 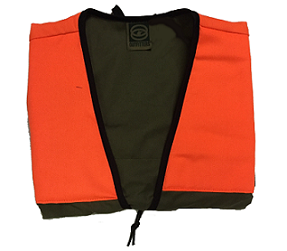 Sizing Tips: The 4XL measures 64" in the chest, and is 32" long down the back. THANKS!